Item #42648 : Original era manufacture. 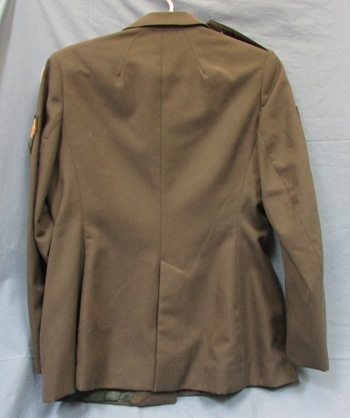 US Vietnam War era woman's Army Jacket. 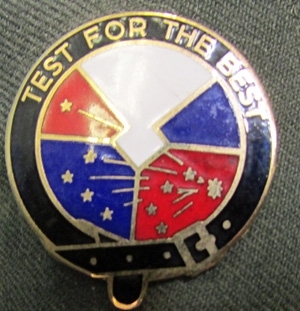 Pair of "Test for the Best" unit crests, collar insignia, US and Signal Corps and shoulder sleeve insignia. All buttons are present. Size 14S32 inch bust23 inch sleeves26 inch lenghtVery nice condition with no stains, holes or mothing.United States Army Developmental Test Command Unit Crest (Test For The Best)Criteria:Unit Crests are unique to each unit in the U.S. Army and are officially known as Distinctive Unit Insignia - although most Soldiers refer to them as "Unit Crests." The insignia design is derived from the coat of arms authorized for a unit. All personnel assigned to the organization wear the insignia, except general officers, the Sergeant Major of the Army and the Senior Enlisted Advisor to the Chairman. 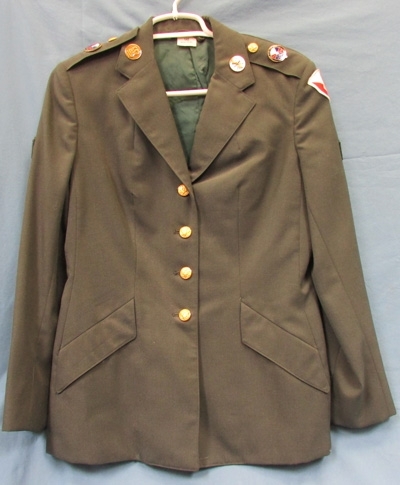 Enlisted personnel wear the unit crests on the green service uniform coat, centered on the shoulder loops equidistant from the outside shoulder seam to the outside edge of the button, with the base of the insignia toward the outside shoulder seam. 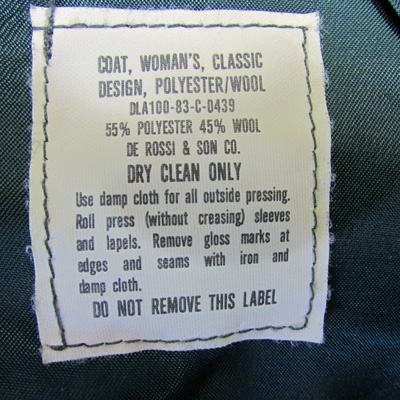 Enlisted personnel are not authorized to wear the unit crest on the Class A uniform. 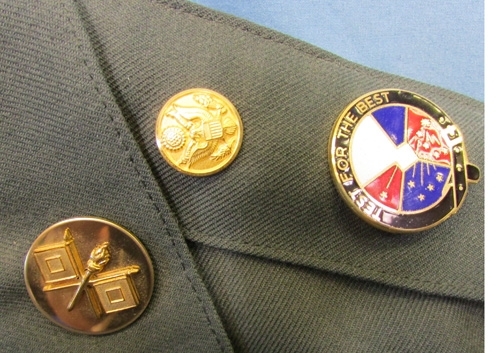 Officers wear the unit crest centered on the shoulder loops, equidistant from the inside edge of their grade insignia to the outside edge of the button, with the base of the insignia toward the outside shoulder seam.